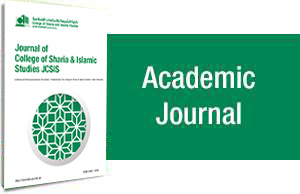 The papers submitted to JCSIS should make some noticeable contribution to classical and contemporary Islamic studies. The papers will be held to imply that it contains original unpublished work and is not being submitted for publication elsewhere. Each author must sign the transfer of copyright from which acknowledges that the paper is original, is not submitted elsewhere, and does not include copyrighted elements. The manuscript extracted from a thesis/dissertation must be unpublished or not submitted for publishing, and the researcher must indicate that the manuscript submitted for publishing in the journal is extracted from a thesis/dissertation. 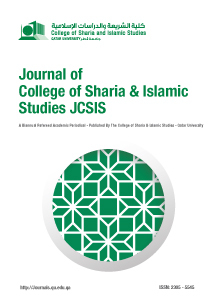 Since JCSIS sends all papers for review, a copy should be submitted in a form suitable for sending anonymously to the reviewers. Manuscripts are evaluated by anonymous peer review, therefore, authors must remove all identifying information from their texts. Authors should refer to themselves in the text and citations in the third person. For example, instead of writing "I argue (Salem 2009)...", write "Salem (2009) argues..." All submissions are assessed by a number of, no less than two, specialized reviewers. Furthermore, when the manuscript is accepted without revision, the publication procedures are completed, and the author is informed of the acceptance of his or her manuscript in writing. If minor essential revisions or major compulsory revision is requested, the manuscript shall be returned to the author with the comments of the reviewers for amendment. If the manuscript is rejected, the author will be informed of that. Moreover, the editorial board reserves the right to decide what articles will be published first. Full name(s) of author(s) must be listed, along with university or professional affiliation, address, city, state, country, phone/fax number(s), and email address where they can be reached. Provide a two-sentence biography that we can use in the article. Please provide current information only. All papers must include an abstract of no more 200 words (one in Arabic and the other in English), followed by key words. It is strongly advised that the length of the article should not exceed 7500 words. Book reviews and conference reports must not exceed 1500 words. All pages should be numbered consecutively. Arabic - Numerical System : must be used all over the articles. All papers should have an introductory section in which the objectives and methodology of the article are explained, as well as a final section which summarizes the main points discussed and the conclusions reached. For papers written in Arabic, the bibliography cited in the text must be transliterated and (Romaized) according to the style used by the Library of Congress, (see below: references section). For papers written in English, authors are expected to adhere to the convention of transliterating single words and phrases, and short sentences, in italic roman script as per the Library of Congress transliteration scheme. Authors are responsible for the accuracy and consistency of their transliteration. Arabic, Persian, Turkish etc. words found in a standard unabridged English dictionary are not to be transliterated or italicised, but treated as English words (e.g. sura, Qur'an, Islam). Otherwise, words should be transliterated and italicised, and plurals should follow the Arabic (i.e. isnād, asānīd). For papers written in English, the author should set a bibliography of sources and references at the end of the manuscript, in the same style of citing footnotes, but arranged in alphabetical order by the author’s family name. For papers written in Arabic, the author should set a bibliography of sources and references at the end of the manuscript, in the same style of citing footnotes, but arranged in alphabetical order by the author’s family name, in the same style of citing footnotes, then s/ he translates (Romanize) them into English alphabetically.